Going on vacations is great, but managing all the heavy video files you bring back is always a hassle, isn’t it? You keep wishing you could declutter those files and keep only the parts that really matter, and in the process save some valuable space on your hard drive. If you’re thinking you’d need to purchase an expensive video editing tool to do that, you’re wrong. 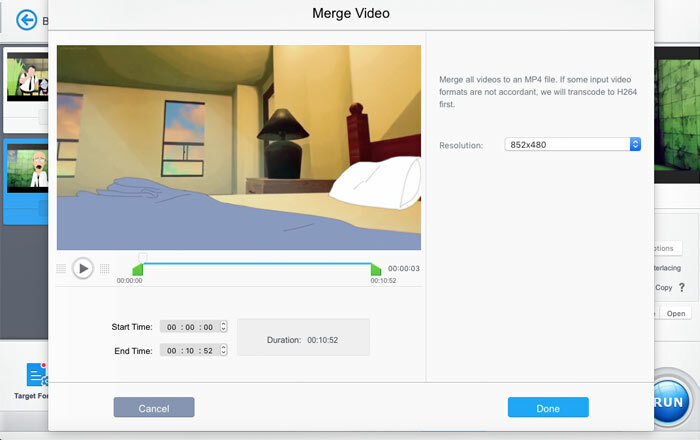 A program like VideoProc has been designed to be the simplest way to merge, cut and split videos. And to its credit, it does much more than just that, which surely justifies its price. VideoProc is the best option available out there to merge videos into one. With its simple interface, it enables you to easily select any number of videos you want and merge them into a single clip. No matter what the resolutions of your chosen files are, the merged clip will have the resolution you choose. The program is so powerful that it can even work with files of 8K resolution, so fret not if those 4K clips from your GoPro need some merging. One of the best parts about the process is there’s the simple facility to trim your videos before they are fused into one file. This eliminates the process of trimming them separately before bringing them in for merging. A variety of file types are supported, and it doesn’t even matter if your chosen files are of different types. For instance, if you wish to merge an MP4 file with an AVI file, the program will work the same way as it would work for two files of the same format. Every format from 3GP and AVI, to MKV and VOB is supported here. Plus, the export resolution can either be custom or chosen from a lost list of presets meant to play the resultant files on particular devices. This video processing software greets you with four different sections once you fire it up. In order to start joining your videos together, you need to click on the ‘Video’ button. Now, from the top bar, you can select the ‘Video’ option again to add the clips you need merged. You can now choose any number of files you want before clicking the ‘Open’ button. Your chosen files will be arranged neatly with all their vital details showing around them. Their order in this section will determine which video will come after which in the final file, so be sure to change that if you want. It can be done by clicking on the up-down arrows on their bottom left corners. Make sure that there’s a check mark on the ‘Merge’ section before selecting your target file format. With that done, you can click the ‘Run’ button, and wait for your merged clip to present itself. Changing the duration of the clips individually allows you to ensure that unwanted parts from them do not end up in the final output. This step can be performed once all your videos are selected and brought into the software. On the bottom of the interface, you will need to enter the ‘Toolbox’ section and select ‘Merge.’ Now, select the clip you wish to trim and double-click on the ‘Merge’ icon again. This will bring up a new window where you can choose the exact part of the clip you wish to feature in the joined video. VideoProc is a big overall video processing suite, so there’s plenty of other stuff you can use it for. It can crop videos, rotate them, stabilize them, add watermarks to them, and a lot more. You can use it for adding effects, filters and text to your videos to truly make them look professional. The software also possesses the ability to add subtitles to your videos. And since it can create MKV files as well, you can insert multiple audio and subtitle files into a single video. Now a program like this is expected to take a lot of time to merge your files together. However, thanks to its adoption of Level-3 hardware acceleration, you can rest assured that the video processing is way faster than other programs. The makers of VideoProc claim it to be up to 47 times faster than programs that don’t use hardware acceleration. 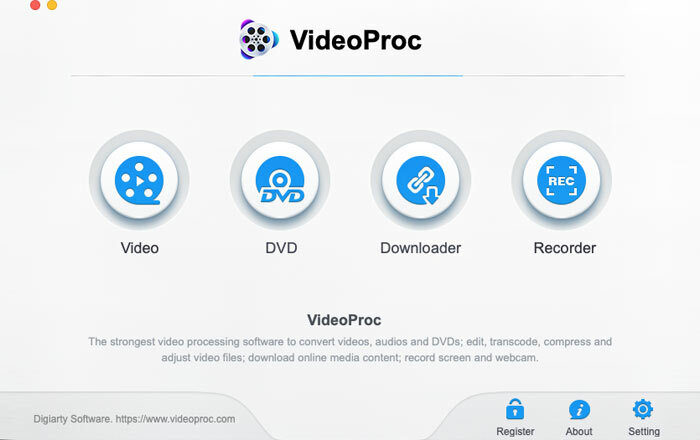 VideoProc can be downloaded for PC as well as Mac. A free trial with limited features is available, but the full version will cost you $29.95 for a one-year license and $42.95 for a lifetime license.